Your speech pathologist will ask you more questions about your child’s medical history and developmental milestones. They’ll ask you about your concerns, and what you’ve observed about your child’s communication and learning, so they can get a better understanding of your child’s skills and challenges. While all this is happening, they’ll give your child an activity or toy to help them feel more comfortable being in a new environment and seeing a new person. This helps your child settle so he or she is ready to engage in more structured activities. They’ll conduct a number of different tests depending on the areas of concern they’re looking at. Please check out our Assessment Packages for an indication of what’s involved. These formal assessments provide scores and a way to measure your child’s ability for their age in the areas they’re testing. They usually involve giving your child pictures to point to or questions to answer about using language. If your child isn’t developmentally ready to complete a formal assessment, your speech pathologist will conduct an informal assessment instead. This usually involves a play-based activity with a range of toys, with the speech pathologist collecting information in a variety of ways. They may interact directly with your child, or observe your child interacting with toys and/or family members in the room. You’re more than welcome to be there during the assessments. In fact, we’d prefer it if you were. 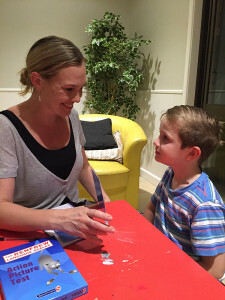 You not only get to see how your child manages the tests/activities but also get the chance to ask the speech pathologist questions and get them to clarify any information for you. At the end of the assessment, they’ll give you some feedback about how they feel your child performed during the tests. Because most of our assessments will take additional time to score and analyse the data, your speech pathologist will spend some time after your appointment to do this and all results will be discussed with you in an upcoming appointment. 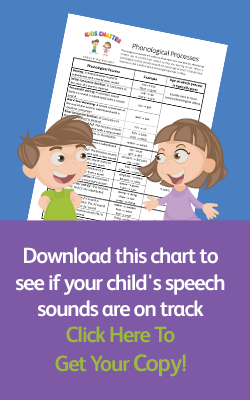 Once the assessments have been completed, your speech pathologist will spend some time going through all the results and work out exactly where the strengths and weaknesses are based on how they performed in the assessments. They will then write up a detailed report with an explanation of all the assessments completed and how your child performed on them. For most assessments, your child’s results will be compared to other children within the same age group to give us an idea of how they’re going developmentally in that area. All of this will be detailed in the written report (included in the fee). The report can take up to 4 weeks to complete in some cases, and this is because we have a number of reports to write for other clients at the same time, so they are done in order of when the assessments were completed. All of our reports are very detailed and go through multiple drafts and are proofread by our Director as well. The assessment results will give us an indication of whether or not your child will need therapy. Recommendations will be outlined in the report and if your child needs therapy, we’ll recommend the best course of action and discuss the option that will best fit your child’s needs, your family’s time scheduling, and your budget. What happens if my child is shy and reluctant to talk to strangers or loses concentration quickly? Is it still worth doing an assessment? Definitely. 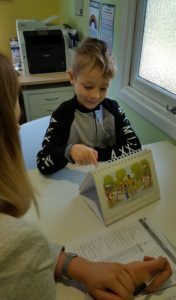 Our speech pathologists are skilled and experienced at working with a variety of children, and we have a range of strategies to encourage your child to participate. We can entice even the most reluctant child to participate in our games and activities, and children often find it an enjoyable experience. Your speech pathologist will strive to make the experience positive for everyone involved.